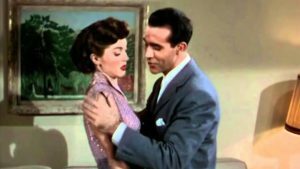 In late November, a radio station in Cleveland Ohio announced it would be removing the song ‘Baby, It’s Cold Outside’ from its holiday playlist, in response to listener complaints. Several other radio stations followed, including Canadian broadcasters Bell Media, CBC Radio and Rogers Media. These decisions proved divisive among listeners, however, with many of the US broadcasters, as well as the CBC, quickly reversing course and reinstating the song after conducting online listener polls. The song was written in 1944 by Frank Loesser, as a duet that he regularly performed with his wife Lynn Garland at Hollywood celebrity parties. In 1949, Loesser sold the song to MGM Studios, who used it in the film Neptune’s Daughter, where it won the Academy Award for Best Original Song that same year. It has been re-recorded by more than 50 artists since that time, most recently in 2018, and is a staple of popular radio during the Christmas season, due to its wintery theme.